You are here: Home / Entertainment / Music / Are you a fan of Martina McBride? 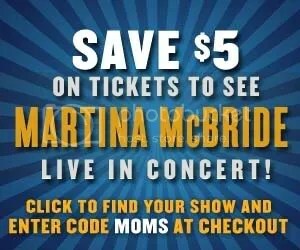 Martina is giving a five dollar discount on each ticket to see her SunnyD Shine All Night Tour. 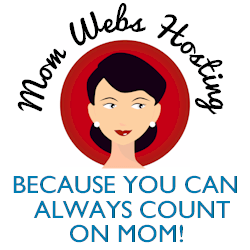 Just go to www.ShineAllNight.com, find your closest show and when you are checking out, enter the code “MOMS” (without the quotation marks) to get your discount. Thanks to MomSelect for the tip! .-= Grace @ Sandier Pastures´s last blog ..Book Review: The Recipe Club =-.